Normally I just do a photo round up and leave the interpretation of what should be used to you, but this year I decided to explain why I found these particular images inspiring. 1. I am a big fan of outdoor gatherings, mostly because the weather is rubbish most of the year here. When the stars actually align and you can make the thing happen? 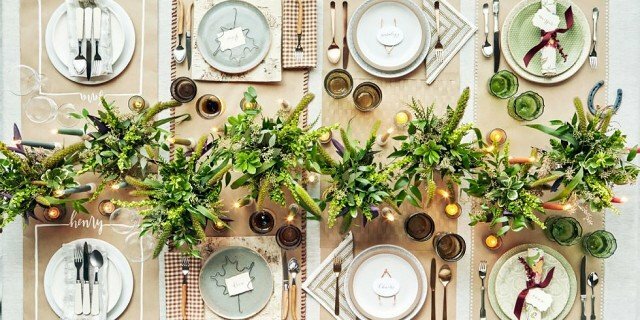 A simple, carefully curated table is best: candles for lighting, cloth napkins so they don’t blow away, durable plates and glasses that can hold their own against a rougher setting, and lovely greenery to reflect the natural beauty of your surroundings. 2. While traditional can be a fitting adjective during the holidays, I’ve always admired a table setting that brings a little cheek into the equation. 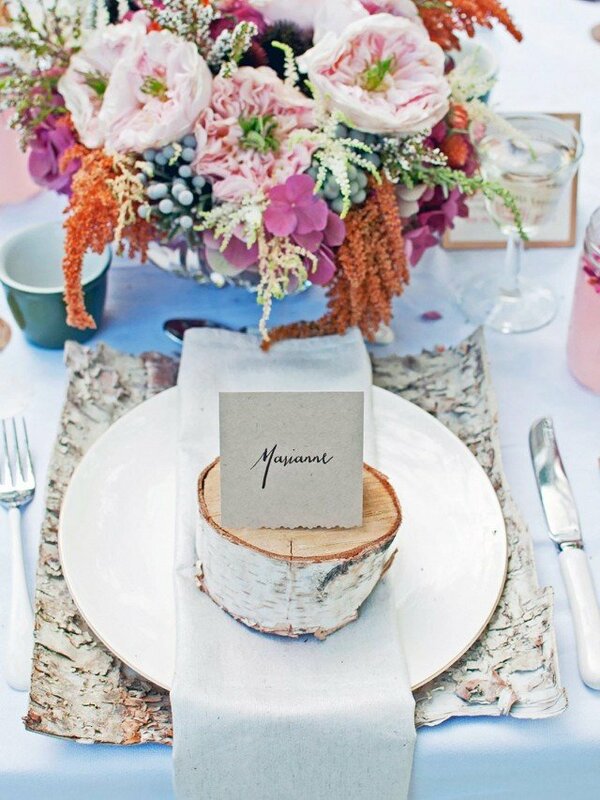 Mismatched place settings, a pop of plum, and centerpieces that have edible elements? Of all the images I’ve pulled for this post, this one is my favorite. 3. This is undoubtedly the most magical time of the year; adding some fairy tale whimsy to your table is a wonderful way to make your party just that much more special. The pieces I think really push this table over the top are the wood slice chargers, the wrought iron flat ware, and the silver and mercury glass elements incorporated into the centerpiece. Very royal banquet in the enchanted woods. 4. A lovely table doesn’t have to be overly complicated. 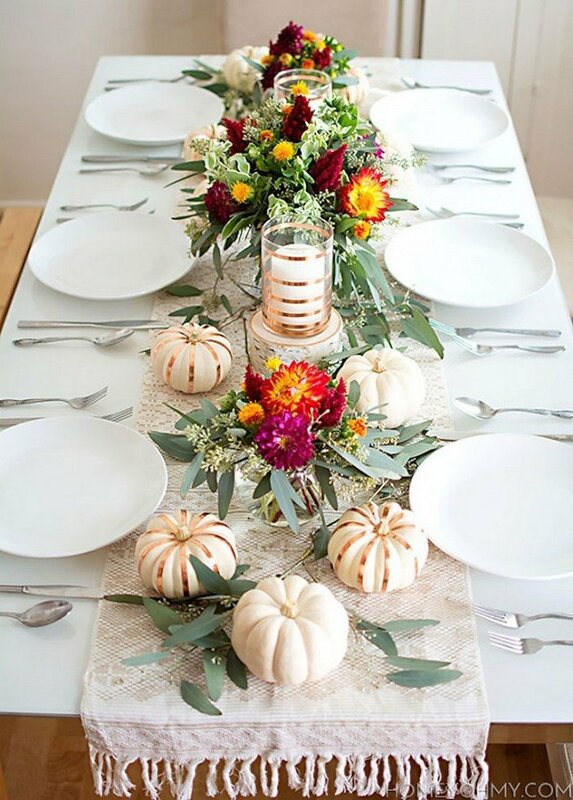 A muted pallet like this one, paired with a single statement element, like that adorable painted pumpkin centerpiece, can impress your guests without making them feeling like they have to watch their elbows. 5. My family has always been more for buffet style dining, we lay the feast out in the kitchen, fill our plates, and then head to the table. 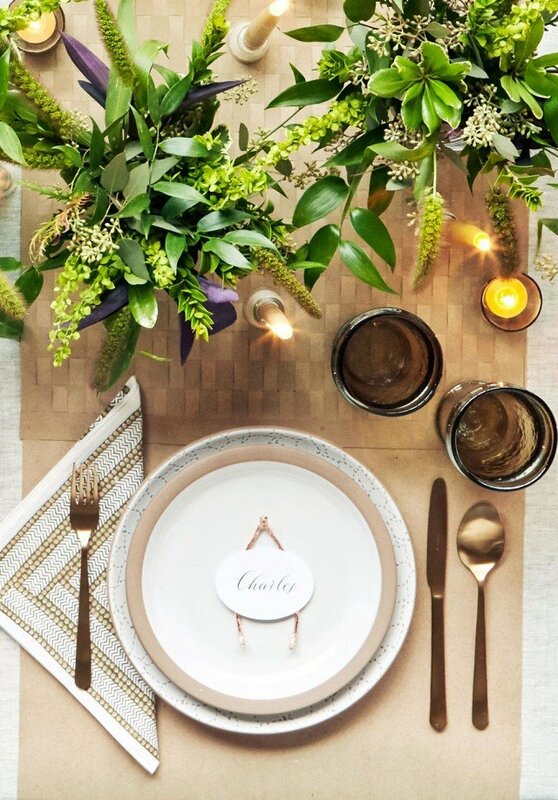 Something like this fun brown paper table cloth can still give a nod to traditional place settings, and also help you subtly manage the seating arrangements if you have guests that tend to clash. 5. I’ve spent most of this post exalting the unconventional table, but all those thoughts and words aside, tradition can be lovely and nostalgic. Occasionally we find ourselves having to celebrate away from our loved ones, and setting a table that evokes fond memories can make the day a little less lonely. It can also help bring a table of strangers into an impromptu family for the day. What kind of table do you like to set? 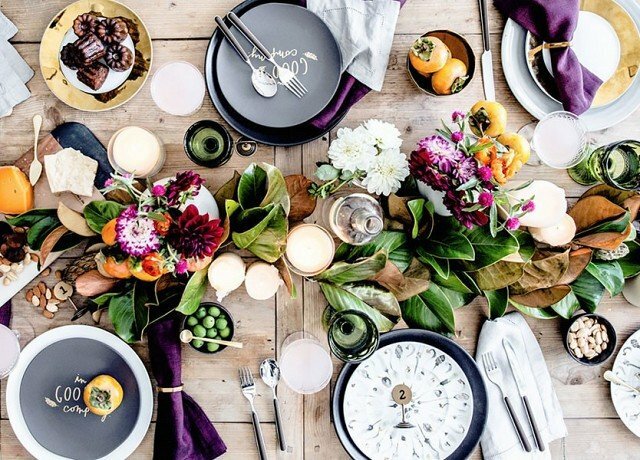 What are your tips and tricks for entertaining? 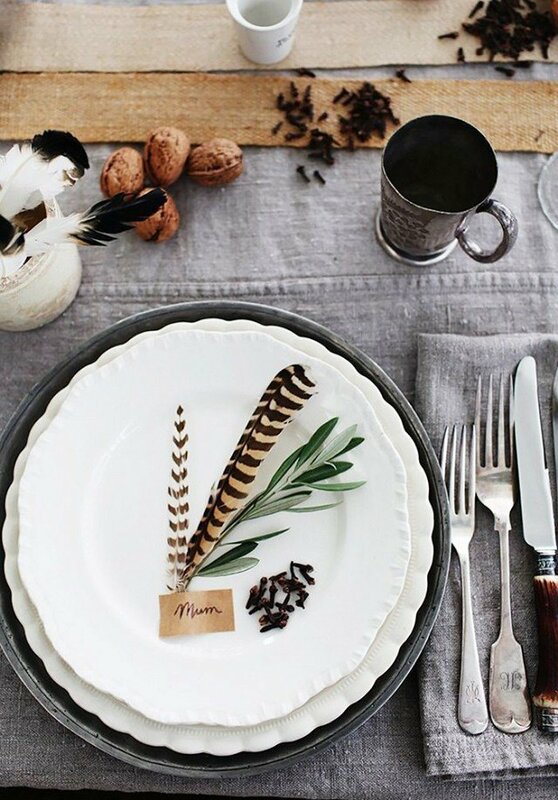 What are you planning for your dinner table? Are you for or against sparkly bits?